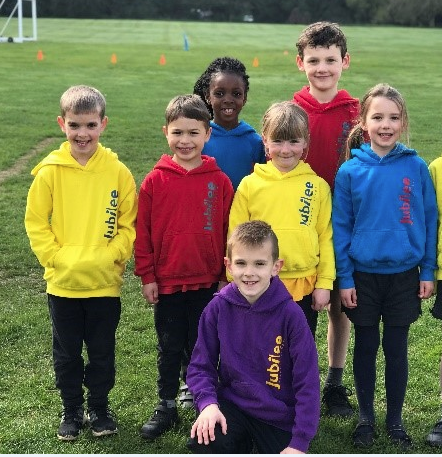 On Wednesday the 3rd April, a team from year 2 attended the Kent Teach, Rapid Fire Cricket festival, at Greenfields Primary School. The team worked hard prior to the event, practising their batting and fielding skills with Mr Faulkner at lunchtime. This prior preparation was evident during the event as the team worked extremely hard, accumulating 213 runs and winning their group stages by a mile. The final resulted in a battle between JPS and the hosts, with JPS scoring a respectable 69 runs, which in turn crowned them winners of the festival! A very big thank you to Mr Faulkner for some excellent pre-coaching and to Mrs Kneller, who again, volunteered to support us at the event. Well done to all who took part and for showing outstanding sportsmanship throughout the event. They were a delight to watch and excellent role models for the school.